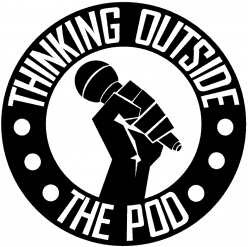 The Totpod crew sits down to have a conversation about gun control issue before eventually devolving into a debate about whether or not a utopia can exist realistically. We also discuss Black Panther, Elon Musk, Mars, and everything in between. Enjoy! With David and Jessica out of town, Jimmy and Jason sit down for a nice civilized conversation that quickly turns controversial. They begin by discussing the career of actor Will Smith and a hypothetical reboot of "The Fresh Prince of Bel-Air" with a CGI Uncle Phil. This leads us to the previously-discussed topic of Star Wars and the recent announcement from Disney saying they have no plans to use a CGI Carrie Fisher. The discussion of untimely deaths gets them talking about Heath Ledger and Nolan Batman movies. A few tangents later including: Child stars, Adam Sandler, Family Guy, etc; the two find their way to more controversial waters. They discuss Caitlin Jenner, Trump, Guns, and a possible Bathroom Bill, similar to North Carolina's, being passed in Texas. We welcome feedback - if you agree or disagree please leave a comment on any of our social media sites or email us.